A new version of polishexpress.co.uk website! A new version of polishexpress.co.uk website. Lajt.co.uk site completes the offer of the web portal On 1st of October we launched the new versions of polishexpress.co.uk and lajt.co.uk websites. Mobile phone users also received the opportunity to use the optimized “Polish Express News” application available for Android and iOS. “The implemented changes are a response to the suggestions and needs of our websites users. In Zetha Media portfolio there are several popular websites which until recently operated independently. Bringing polishexpress.co.uk and lajt.co.uk websites together is the first step on the road to introduce major changes in Group’s products. Soon we plan to release new versions of two other websites: strefa.co.uk advertising service and polacy.co.uk portal”, said Anna Godek – Biniasz, Managing Director of Zetha Media. “Polish Express” weekly, which has been published for the last 13 years without interruption, is the largest and the most opinion-forming media dedicated for Poles living in the UK. 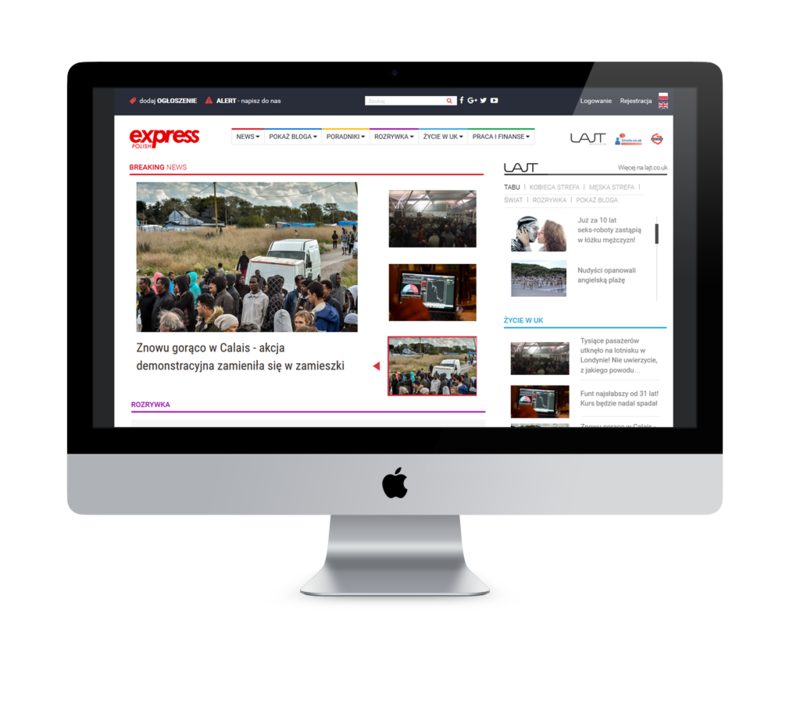 “Polish Express” website is one of the best recognized and most widely read Polish-language media in Great Britain. These facts are confirmed by the ever growing number of visits and by a big number of comments left by users. The publisher puts mobility first – now more than 80 percent of websites’ traffic is generated by mobile devices. Our new websites are fully responsive, while the refreshed application is a natural way to enlarge the audience for the content prepared by our editors. „LAJT” magazine website was created over a year ago and was based on the old site of the now non-existent „Panorama” weekly. Lajt.co.uk portal presents the news that are a complement to politics and social issues covered in polishexpress.co.uk flagship website and from month to month it gains new loyal users. “Our lifestyle website lajt.co.uk focuses primarily on the events taking place in the UK. And although we write in Polish, we respond to the needs of people living in the UK and willing to both participate in the life of British celebrities and learn about the new global trends. Before the first issue of “LAJT” magazine was published there had been no such magazine to cover these topics in Polish. But now, fortunately, it’s us to do that job”, said Ilona Korzeniowska, Editor in Chief of “Polish Express” and “LAJT” weeklies. Zetha Media is the owner of “Polish Express” and “LAJT” weeklies published in the UK as well as of the websites: Polishexpress.co.uk, Lajt.co.uk, Stefa.co.uk and Polacy.co.uk. It also organizes the annual “Polish Choice” contest for Polish businesses in the UK. Our publishing company has operated in the UK since 2005 and so far it has been the largest ethnic media group on British Isles.